In the 21st century religious communities make up over 80% of the world’s population of which 49.2% are women. Hundreds of thousands of these women are discriminated against, live in poverty and have violence perpetrated against them. Many are economically, socially and psychologically dependent on men. Women’s inequality, gender based violence and women being considered as second class citizens have historical roots expounded by male religious leaders throughout the centuries. Men of faith were taught to read and write and were responsible for interpreting Religious Scriptures. These were then conveyed to the people who put into practice the teachings given to them from these religious men. The Scriptures were interpreted in such a way that kept women in an inferior position to men. This historical legacy/perspective has continued to the present day. So how can we change centuries-old attitudes and perceptions that women are inferior to men? The answer lies within the World’s Religious Scriptures and the honour and status given to women by the Founders/Prophets of these world religions. Hindu Scriptures state that the mother is more worthy of reverence than the father or a teacher. "The teacher who teaches true knowledge is more important than ten instructors. The father is more important than ten such teachers of true knowledge and the mother is more important than ten such fathers. There is no greater guru than the mother." Mahabharata, Shantiparva, Chapter 30, sloka 9. Abdu’l- Baha Tablet to The Hague, p7. Throughout the centuries there have been women who have challenged the notion that a woman’s place is in the home, belonged to man and should provide for his comfort and could not make a valuable contribution to society. Numerous examples of women such as Khadija the wife of Prophet Muhammad, who was a successful business women and Mata Bhag Kaur a Sikh female warrior who led men back into battle after deserting the battlefield in the 18th century. Women throughout the centuries have acted as spiritual agents of peace and security whether it is within their families, neighbourhoods, in society and today as agents of peace locally and globally. They have an ability to listen with empathy, judge fairly and resolve conflict as they have had many years of experience using strategies within the nurturing of their families to see which works best to bring about calmness and peace. 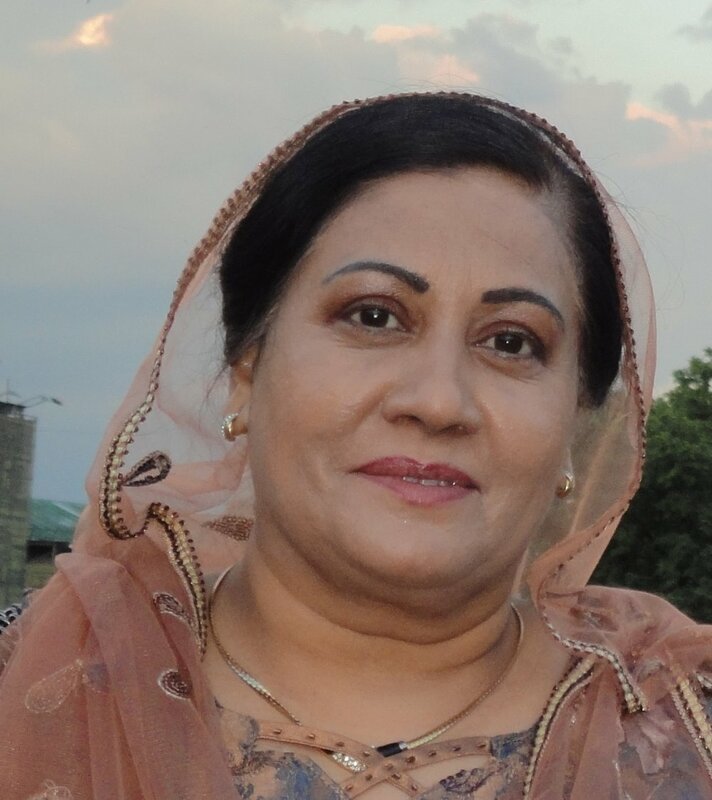 Mrs Ravinder Kaur Nijjar is the Chair of Religions for Peace UK Women of Faith Network and member of RfP International Women’s Coordinating Committee for the Global Women of Faith Network. She was also Co-Chair of RfP European Women of Faith Network form 2006-2014 and is currently a member of the Executive Board. She serves on the Executive Committee of the Council of Dharmic Faiths UK, Patron of Alma Royalton Kisch InterFaith Youth Trust (London) and member of Scottish Religious Leaders Forum and Interfaith Scotland. 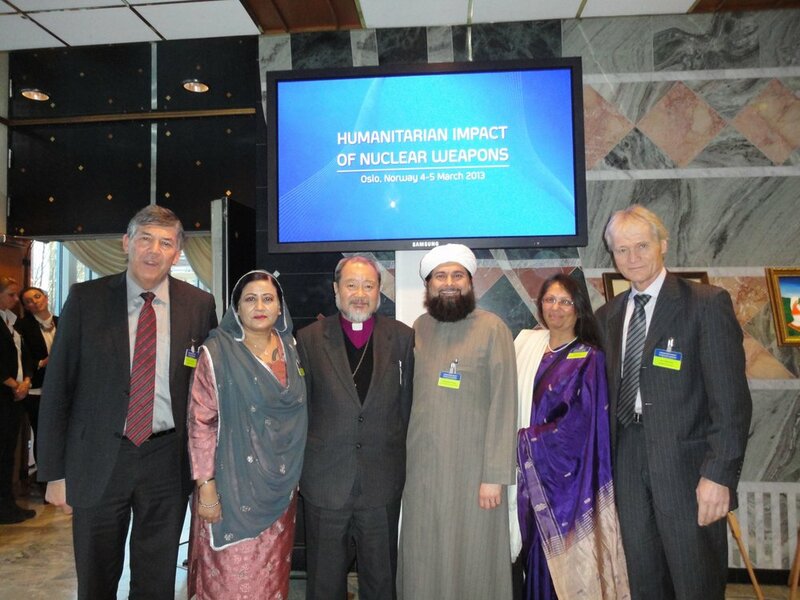 She also served from 2000-2015 on the Executive Committee of the Interfaith Network for the UK. She is an experienced educationalist who has taught in the primary and secondary sector for thirty-two years and has worked in the interfaith field for over twenty-five years. She was awarded the Scottish Asian Women’s Lifetime Achievement Award in 2013.